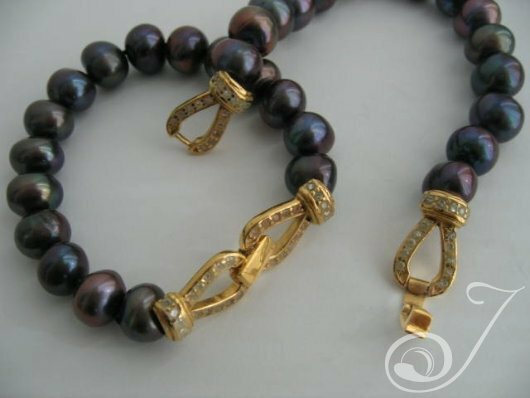 Black 10mm Pearls CZ Jewelled Clasp 24k Vermeil – 7″. Simple elegance we called these bracelets after Kate Hepburn. The Philadelphia Story is one of my all time favourite movies and Kate was so wonderful in it. Surprisingly there are very few pictures with Kate wearing any jewellery at all. A rare but exceptional one has to be the one attached below. For the sheer glamour of La Hepburn we had to show you how a girl should wear pearls. with thanks to the Kate Hepburn Trust for this image.